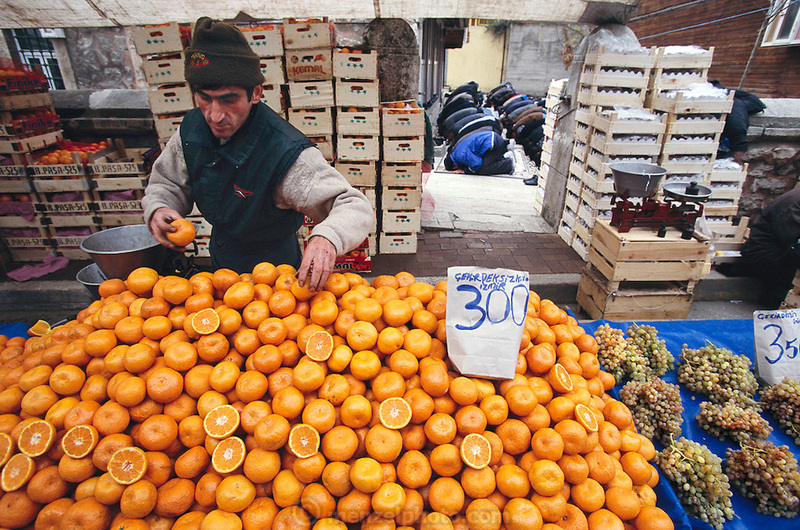 On Friday, the noon prayers have begun and a vendor arranges his oranges while behind him men pray at a small mosque. Hungry Planet: What the World Eats (p. 258). This image is featured alongside the Çelik family images in Hungry Planet: What the World Eats.